The World Youth Skills Day is observed globally on 15th July every year to raise awareness about the importance of investing in youth skills development. The theme of 2017 is "Skills for the Future of Work". The first World Youth Skills Day (WYSD) was celebrated on 15 July 2015. Raipur’s Swami Vivekananda Airport was ranked first in Customer Satisfaction Index (CSI) Survey among 49 airports in the country. It has achieved 4.84 score on a five point scale index. It was followed by Udaipur (2nd), Amritsar (3rd) and Dehradun (4th) airports which have scored 4.75, 4.74 and 4.73 respectively. This is third consecutive time in the past two years, Raipur airport has received this recognition. The Indian Railways has launched an integrated mobile application ‘SAARTHI’ to cater various passenger requirements, including ticket booking, inquiry, onboard cleaning and ordering meal on a single platform. The Rail SAARTHI (synergised advanced application rail travel help and information) such as safety for women, compliant facility and suggestion for improvement. The Gujarat govt. has formed the Saputara Area Development Authority (SADA) for “comprehensive development” of its only hill station in tribal populated district of Dang. The authority will carry out planned development in 419-hectare area of ‘Saputara’ for tourism purpose. The SADA will prepare maps and development plans considering the future requirements of next twenty-years. The plan will define land use, eco-conservation needs, and other infrastructure. Mukesh Kumar Jain has been appointed as the managing director (MD)and chief executive officer (CEO) of Oriental Bank of Commerce (OBC) for a period of three years. Prior, Jain was an Executive Director at Punjab & Sind Bank. The bank was nationalized on 15 April 1980 and headquarter is located at Gurugram, Haryana. Spanish tennis player Garbine Muguruza defeated Venus Williams 7-5, 6-0 on Saturday to clinch her maiden Wimbledon and second Grand Slam title. India’s Sundar Singh Gurjar (21) won gold medal in the men’s javelin throw event at World Para Athletics Championships held in London, United Kingdom. In the F46 category, Sundar recorded his personal best effort of 60.36m ahead of Dinesh Priyantha Herath (Sri Lanka) who emerged second with 57.93m, followed by defending champion Guo Chunliang (China) with 56.14m. This Quiz is based on previous day’s news. You can also go through the Current Affairs of 14th July 2017 before attempting the quiz. 1. Which of the following state has become first state to make social boycott a crime after President Pranab Mukherjee cleared the legislation? 2. What is the India’s rank in the 2017 Sustainable Development Goal (SDG) Index, released by Sustainable Development Solutions Network (SDSN) and Bertelsmann Stiftung? 3. 22nd World Petroleum Congress (WPC) International Conference was held from 9th to 12thJuly, 2017 in which of the following cities? 4. According to the NITI Aayog CEO Amitabh Kant, which among the followingare the three best-performing states in “ease of doing business”? 5. India’s first high-speed rail training centre will set up in which state? 6. Which of the following company has acquired Bengaluru-based artificial intelligence Startup 'Halli Labs'? 7. Who has been appointed as the new Chairperson of Broadcasting Content Complaints Council (BCCC)? 8. Which country hosted the 2017 Everest International Model United Nations (EIMUN) Regional Conference? 9. On July 13, 2017, the National Green Tribunal declared the area of _____ metres from the edge of the river Ganga as a ‘no-development zone’ in the stretch between Haridwar to Unnao. 10. Which among the following company has entered into a partnership with The Energy and Resources Institute (TERI) to explore collaboration opportunities for solar rooftop, electric vehicles, energy storage systems, energy efficiency and smart grid technologies? d) Rajdhani Daurya Urja Ltd.
1:c, 2:b, 3:b, 4:c, 5:b, 6:b, 7:c, 8:d, 9:a, 10:d.
India has been ranked low 116 out of 157 nations on the 2017 Sustainable Development Goal (SDG) Index and Dashboard report released by Sustainable Development Solutions Network (SDSN) and Bertelsmann Stiftung. The index assesses the performance of countries towards achieving the ambitious SDGs. It ranks countries based on their performance across the 17 SDGs. The list was topped by Sweden and followed by Denmark (2nd) and Finland (3rd). Today, the Union Railways Minister ‘Suresh Prabhu’ dedicated country's first solar powered DEMU train to the nation at an event in New Delhi. The 1600 Horse Power (HP) train with solar powered coaches has the special battery bank for use during night hours. There are 16 solar panels of 300 watts capacity each in a coach. The train will run from Sarai Rohilla (Delhi) to Farukh Nagar (Haryana). The Department of Industrial Policy and Promotion (DIPP), Ministry of Commerce & Industry has signed an Institutional agreement with the Punjab State Council of Science and Technology in New Delhi to establish India’s first Technology and Innovation Support Center (TISC) at Patent Information Centre, Punjab. The objective of the TISC is to stimulate a dynamic, vibrant and balanced Intellectual Property Rights (IPRs) system in India to foster creativity and innovation. Uttar Pradesh government has signed Memorandum of understanding (MoU) with the Centre for setting up of an All India Institutes of Medical Sciences (AIIMS) hospital in Gorakhpur. The hospital will have 750 free beds and the project will cost 1,750 crore rupees. The OPD of the new AIIMS will start by September 2018 and trauma centers will be established by 2020. Maharashtra is the first Indian state to formulate a law to punish social boycott. Punishment for an offense under the Prohibition of Social Boycott Bill includes a fine of up to Rs 5 lakh and imprisonment of up to seven years or both. The social boycott for reasons such as religious rituals, inter-caste marriage, lifestyle, dress or vocation would also invite stringent punishment. There is a provision for victims or any member of the victim’s family to file a complaint either with the police or directly to the magistrate. Union Minister of State for Petroleum and Natural Gas, Dharmendra Pradhan visited Istanbul in Turkey from 9th to 12th July, 2017 to represent India at the 22nd World Petroleum Congress (WPC) International Conference. The theme for 22nd World Petroleum Congress was ‘Bridges To Our Energy Future’. WPC was first organized in year 1993. Currently, it is being held at the interval of three years. The Haryana government has set up the ‘Haryana Smart Gram Development Authority’ (HSGDA) under the chairmanship of the chief minister to develop smart villages in the state. The HSGDA would oversee the formulation and implementation of plans for converting villages into ‘smart grams’. It would design a strategic long-term policy and programme framework to improve basic amenities like roads, power supply, drinking water, sanitation, and common government to consumer (G2C) services. The MoU has been signed for two years. The collaboration will help in research and explore newer collaboration opportunities in the domain of emerging technologies. Google has acquired Bengaluru-based artificial intelligence Startup 'Halli Labs' for an undisclosed sum. The firm was founded with the goal of applying modern artificial intelligence and machine learning techniques to solve old problems. The company would be joining Google’s Next Billion Users team to help get technology and information into more people’s hands around the world. “We couldn’t be more excited,”. Halli Labs was co-founded in early 2017 by Pankaj Gupta, former chief technology officer of online homestay aggregator Stayzilla. Tata Sons, the holding company of the Tata Group, has appointed Aarthi Subramanian as the conglomerate's chief digital officer. Subramanian, who is an executive director at TCS, will join Tata Sons in August. Subramanian is the second TCSer whom Tata Sons Chairman N Chandrasekaran has picked up to be a part of his core team after Suprakash Mukhopadhyay. For the first time in the country, a team of Indian scientists has claimed to have discovered an "extremely large supercluster of galaxies", Saraswati, in the universe. The supercluster was discovered by Shishir Sankhyayan, a PhD student at the Indian Institute of Science Education and Research (IISER), Pune, Pratik Dabhade, IUCAA research fellow, Joe Jacob of the Newman College, Kerala, and Prakash Sarkar of the National Institute of Technology, Jamshedpur.The Milky Way is the galaxy that contains our Solar System. Private sector YES Bank has received $150 million funding from the US government and Wells Fargo to increase lending to support women entrepreneurs and small and medium-sized enterprises in India. This is the third round of funding to the bank as part of an arrangement with the Overseas Private Investment Corporation (OPIC) -the US government development finance institution and Wells Fargo. Under the agreement, OPIC will provide $ 75 million in financing and up to $ 75 million in syndicated financing jointly arranged by Wells Fargo Bank to Yes Bank. This Quiz is based on previous day’s news. 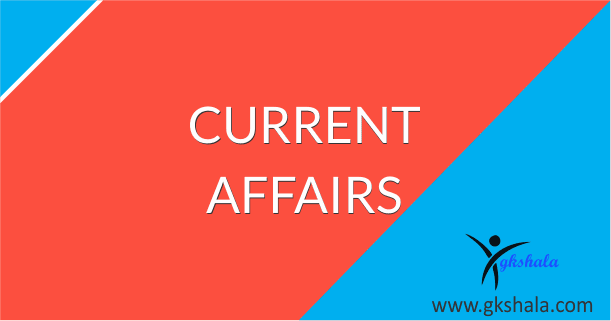 You can also go through the Current Affairs of 13th July 2017 before attempting the quiz. 1. Which of the following country will host 8th edition of Theatre Olympics in 2018? 2. India’s first Technology and Innovation Support Center (TISC) will be set up in which state? 3. The Indian Railways has launched which of the following virtual server to optimise server usage and faster connectivity? 4. RSS Chief Mohan Bhagwat has released a coffee table book "The making of a legend" on Prime Minister Narendra Modi's life. The book ‘Making of A Legend’ has been authored by? 5. Which among the following has become the first State in the country to lay down the minimum educational qualifications for contesting elections to village cooperative societies and various other cooperative bodies? 6. Which country has been selected by IUCN for the construction of the world’s first saola breeding centre? 7. Which State Government has decided to merge all the branches of the district central cooperative banks (DCCBs) with the state cooperative banks? 8. Which country will become the world’s largest milk producer by 2026, as per latest “OECD-FAO Agricultural Outlook 2017-2026” report? 9. Which public sector bank has waived charges for fund transfer of up to Rs.1000 through its IMPS (Immediate Payment Service) to promote small transactions? 10. Which programme has been launched by Yes Bank to help Micro, Small and Medium Enterprises (MSMEs) understand the impact of the proposed changes and prepare them for migration to the new GST tax system? 1:d, 2:c, 3:c, 4:b, 5:d, 6:a, 7:c, 8:c, 9:b, 10:a. Today, the National Green Tribunal (NGT) has declared 100 meters from the edge of River Ganga as a ‘No-Development Zone’ in the stretch between Haridwar (Uttarakhand) and Unnao (Uttar Pradesh). There shall be no dumping of waste of any kind within 500 meters from the edge of River Ganga. The NGT also declared an environment compensation of Rs. 50,000 on anyone who dumps waste in River Ganga. India will host 8th edition of Theatre Olympics in 2018, the biggest theatre celebration of the world. The greatest carnival will start from February 17-April 08, 2018. India is hosting this event for the first time. There will be five hundred plays and seven hundred ambiance performances from across the world. A Model United Nations (MUN) Regional Conference is being held at Kathmandu. The event is organised by the US Embassy in partnership with the Youth Thinker’s Society. Youths from 12 South and Central Asian countries including India are participating in 5-day conference. The basic aim of the MUN is to provide a platform to young minds to channelize energy and resources for a more prosperous and peaceful world. The conference simulate four UN committees-United Nations Environment Programme (UNEP), Economic and Financial Committee (ECOFIN), United Nations Security Council (UNSC) and United Nations Human Rights Council (UNHRC). Rail Cloud works on popular Cloud Computing system. Cloud computing is an emerging technology for faster and on demand commensurate deployment of server resources which results in reduced cost. RailCloud has been developed by rail PSU RailTel as part of Railways strategic IT initiative, IR—OneICT. Meghalaya Chief Minister ‘Dr. Mukul Sangma’ has launched a flagship program ‘Livelihood Intervention and Facilitation of Entrepreneurship’ (LIFE) at Songsak in East Garo Hills. LIFE is a program of the State Rural Livelihood Society, which is implementing the Centre's flagship program National Rural Livelihoods Mission (NRLM). NRLM promotes livelihood through women Self Help Groups (SHGs) and their Federations. RSS Chief Mohan Bhagwat has released a coffee table book "The making of a legend" on Prime Minister Narendra Modi's life in New Delhi. The book ‘Making of A Legend’ has been authored by Sulabh International chief ‘Bindeshwar Pathak’. Scientists from University of Cambridge, UK have discovered the smallest star in the universe. It has been named as EBLM J0555-57Ab. The star was identified by SuperWASP, a planet-finding experiment run by several universities. It was detected when it passed in front of its larger parent star, forming an eclipsing stellar binary system. National capital police will be the first state police in India who will get ‘super cop belt', a specially designed belt, widely used by Police in UK, USA, Russia and para-military forces like CRPF, CISF, NSG etc. This belt will help cops to keep things like Gun, Mobile Pouch, Security Batten, Wireless Set Pouch & ammunition pouch. ‘YES Bank’ along with YES Global Institute has launched ‘YES GST’ program for MSMEs (Micro, Small and Medium Enterprises) under its MSME CSR initiative, ‘Say YES to Sustainable MSMEs in India’. The bank will help MSMEs to understand the impact of the proposed changes and prepare them for migration to the new GST tax system. The campaign will also target Chartered Accountants who are an important stakeholder in the journey for the MSMEs, and YES BANK employees. The Sports Minister Vijay Goel has inaugurated Oorja CRPF Under-19 Football Talent Hunt Tournament in New Delhi. This Tournament is being organized as a run up to under 17 FIFA World Cup by CAPF, BSF, SSB, ITBP, CRPF, CISF and Assam Rifles. Rajasthan has become the first State in the country to lay down the minimum educational qualifications for contesting elections to village cooperative societies and various other cooperative bodies. In this regard, state government has amended State Cooperative Societies Rules, 2003. The new rules would benefit about 10,000 cooperative and agricultural credit societies. Moreover, the benefit of education will accrue to the societies as their management will go to expert hands. The required educational qualifications will range from Class V to Class VIII for election as members of governing boards of various cooperative societies. Use of CNG in Train Sets for passenger transportation has been done for the first time in the world. Golden Peacock Awards were instituted by the Institute Of Directors (IOD), India in 1991. Delhi became the second state to launch e-RTI portal that will enable citizens to file online Right to Information (RTI). Maharashtra is the first state to launch the online RTI platform. The portal launched recently will enable citizens to file RTI and seek information related to 172 departments of the Delhi government including the office of the CM and his ministers. The e-RTI portal, which has been designed by the National Informatics Centre (NIC), includes filling of application, payment of fees and getting replies online. Maharashtra has become the first state in the country to provide women an injectable contraceptive for free. The state’s public health department launched a program called Antara to offer women an injection of Medroxyprogesterone acetate (MPA), a birth-control hormone. The announcements were made on the occasion of World Population Day (11th July). According to state health officials, the injection, a safe means of birth control, is effective for three months. The injection will be given intramuscularly to women in the age bracket of 18-45 years. President Pranab Mukherjee inaugurated the annexe of the presidential retreat Ashiana which has accommodation facilities for accompanying officers and staff of the Rashtrapati Bhavan. The Ashiana retreat was built originally as a bungalow of the commandant of the President's Bodyguard and was revived by Mukherjee after long years of disuse. K R Narayanan, in March 1998, was the last president to stay here. A men-only island in Japan (women are banned) and male visitors must bathe naked in the sea before visiting its shrine, has been declared a UNESCO World Heritage site. The tiny landmass of Okinoshima is permanently manned by a Shinto priest who prays to the island’s goddess, in a tradition that has been kept up for centuries. UNESCO’s heritage committee considered 33 sites for the prestigious status at its annual gathering in Poland. The National Green Tribunal banned the use of ‘Chinese’ kite strings, made of nylon or any synthetic material on the grounds that it poses threat to life and environment. The Tribunal directed all state governments to prohibit the “manufacture, sale, storage, purchase and use” of synthetic manja or nylon threads and all other synthetic strings used for flying kites with immediate effect. A bench headed by NGT Chairperson Justice Swatanter Kumar ordered the authorities to ban import of any synthetic manja. The Board of Control for Cricket in India (BCCI) has named former all-rounder and captain ‘Ravi Shastri’ (55-year) as the new chief coach of the Indian cricket team till ICC World Cup 2019. Former fast bowler ‘Zaheer Khan’ has also appointed as bowling coach for a period of two years. Former Indian Captain ‘Rahul Dravid’ has appointed as batting consultant for specific overseas tours. Earlier, the head coach ‘Anil Kumble’ has resigned from the post after the ICC Champions Trophy 2017. Mithali became run scorer in Women's ODIs. Mithali Raj became the first women’s player to reach 6000 ODI runs. England’s Charlotte Edwards was the previous leading run-getter in ODIs with 5992 runs. She has 48 not-outs to her name, which is the most in women’s cricket. Today, the World Population Day is observed across the world on 11th July to increase the awareness of the people towards the worldwide population issues. The theme of this year is ‘Family Planning- Empowering People, Developing Nations’. The theme highlights the importance of family planning as it allows people to attain their desired number of children and determine the spacing of pregnancies. The three-day Eighth meeting of the SAARC Ministers of Law and Order preceded by meeting of the SAARC Secretaries of Law and Order and Immigration Authorities has begun in Colombo, Sri Lanka. The meeting will focus on the issue of tackling terrorism apart from discussing liberalization of visa, illegal trafficking in narcotic drugs, psychotropic substances, and small arms. The last meeting of SAARC Ministers was held in Pakistan where ministers highlighted the importance of initiating collective actions against terrorism in all its forms and manifestations. The South Asian Association for Regional Cooperation (SAARC) is the regional intergovernmental organization and geopolitical union of nations in South Asia (8 countries: Afghanistan, Bangladesh, Bhutan, India, Nepal, the Maldives, Pakistan, and Sri Lanka). Mongolian Businessman and Martial Arts expert Khaltmaa Battulga was sworn in as president, vowing to revive the flagging economy and pursue relations with countries outside its giant neighbors Russia and China. Battulga replaces Tsakhia Elbegdorj after the outgoing president served the maximum four-year terms for two times. The government has merged the urban development and housing and urban poverty alleviation ministries into Ministry of Housing and Urban Affairs (MoHUA). This is the third time the ministries have been merged. Venkaiah Naidu heads the ministries of urban development, and housing and urban poverty alleviation. Today, Finance Minister Arun Jaitley has launched a new taxpayer service module called ‘Aaykar Setu’. It compiles various tax tools, live chat facility, dynamic updates, and important links to various processes within the Income Tax Department in a single module. This e-initiative would not only provide better taxpayer services but would also help in reducing the direct physical interface between assesses and tax assessing authorities. The new step is an effort by the Income Tax Department to directly communicate with the taxpayers on a range of multiple informative and useful tax services. The Union Railway Minister ‘Suresh Prabhu’ has inaugurated the Science Express Climate Action Special at Madgaon station through video conferencing from New Delhi. The Science Express is an innovative mobile science exhibition of the Department of Science and Technology mounted on a 16-coach AC train. The objective is to increase awareness on climate change and its mitigation among various sections of society, especially students. The amendment, made through a notification, comes after the Gujarat High Court asked the RBI to remove the stipulation on its order last month that the 12 non-performing assets (NPAs), or bad loans, would be granted priority at the National Company Law Tribunal. ssar Steel, one of the 12 large NPAs identified by the RBI, had approached the Gujarat High Court for the RBI proceedings. The union govt will organize three-day international fair 'World Food India 2017' in 3 to 5 November this year. International fair will provide a platform to Indian farmers and manufacturers to showcase their products and explore partnerships with foreign companies, organized by the Food Processing Ministry. The World Food India is a step aimed at creating India a 'Global Food Factory' and 'Global Food Retail Market'. Renowned cartoonist ‘Mangesh Tendulkar’ (78-years) passed away at the hospital in Pune. His cartoons especially about government offices and on traffic rules was famous. Tendulkar also wrote some books like 'Bhuchchkra', 'Pocket Cartoons' and 'Sunday Mood'. Rio Olympics silver medallist P V Sindhu was bestowed with the 'Sportsperson of the Year' award during the ‘Maruti Suzuki Sportsperson of the Year’ Charity Gala Awards. Sindhu’s coach P Gopichand received the Coach of the Year award while the Flying Sikh Milkha Singh was given the Living Legend of the Year award. Young India cricketer K L Rahul, who made a mark in the last Test series against Australia, was awarded Gamechanger of the Year award. The 2008 Beijing Olympics gold medallist and the country’s sole gold medal winner in individual events at Olympics, Abhinav Bindra was given the Lifetime Achievement Award. Ahmedabad was declared as a World Heritage City at the 41st session of UNESCO's world heritage committee meet in Poland on Saturday. The nomination of Ahmedabad was supported by nearly 20 countries. The 606-year-old walled city was preferred over Delhi and Mumbai. President Pranab Mukherjee has launched digital initiatives - Swayam, Swayam Prabha and National Academic Depository in New Delhi to push e-education in the country. The aim of the initiatives is to raise the Gross Enrollment Ratio in the higher education from 24.5 to 30 by 2020. Massive Open Online Courses, Swayam will host courses taught in classrooms from Class 9th to post-graduation, which can be accessed by anyone, anywhere at any time. It will target those students who could not complete their studies and professionals who wish to upgrade their knowledge. Swayam Prabha is the platform of 32 DTH channels devoted to telecasting high-quality educational programmes 24X7 using GSAT-15 satellite. National Academic Depository will facilitate online verification of certificates. All the courses are interactive and available free of cost. Veteran actress Sumita Sanyal, known for her role in movie 'Anand' passed away on Sunday. The actress breathed her last at her Kolkata residence at Deshapriyo Park. She had acted in over 50 Bengali movies and a few Hindi Movies like 'Anand'(1971), ' Guddi'(1971), 'Aashirwad'(1968) and 'Mere Apne'(1971). 1. Name the Indian player who won South Australian Open squash title? 2. Who has been appointed as the WHO's goodwill ambassador for autism in the world body's Southeast Asia region? 3. Which programme, aimed at connecting school students and scientists for extending student’s classroom learning was launched recently in New Delhi? 4. What is the India’s rank in the 2017 Global Cybersecurity Index (GCI)? 5. The government will set up ‘Garib Nawaz’ skill development centres in how many districts of the country to offer employment-oriented training to the youth from minority communities? 6. India’s first university only for Dalit students will come up in which city? 7. Who among the following has been awarded Order of Australia for community work, the highest civilian award in Australia? 8. Naval forces of which countries participated in Malabar Naval Exercise 2017 which began on July 7, 2017 in Chennai, India? 9. What is the India’s GDP growth forecast for FY 18, as per latest report by BMI Research? 10. National Aluminium Company Limited (Nalco) is setting up the first of its kind Aluminium Park in which of the following cities? 1: b, 2: c, 3: b, 4: c, 5: a, 6: c, 7: d, 8: c, 9: c, 10: b.